One of the hardest obstacles that cat owners will have when their pet is ill is getting them to take their medication. It can be frustrating trying to get cats to take pills or tablets, especially if they need it to get them back to full health. 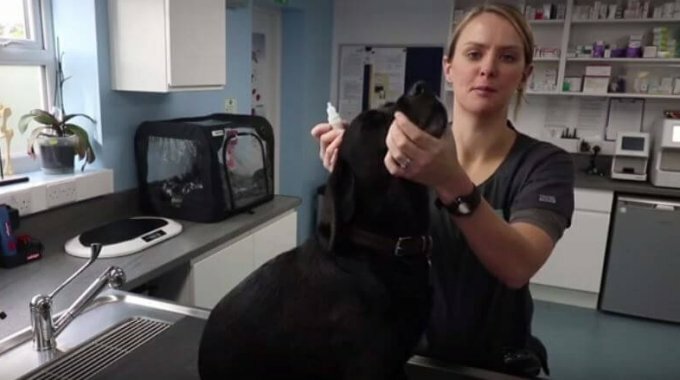 Luckily your vet team in Cheshire have some advice that should give you a helping hand. Watch the video for a simple guide on the range of techniques that you can try. What do I need to give my cat a pill? The equipment that you need to effectively get your cat to take their medication varies depending on the behaviour of your cat and the type of medication. Cats that are fairly relaxed may not need any extra tools and you might be able to manage using just your fingers to hold their jaw open. For more fidgety animals you might want to use a pill giver like the one in our video. 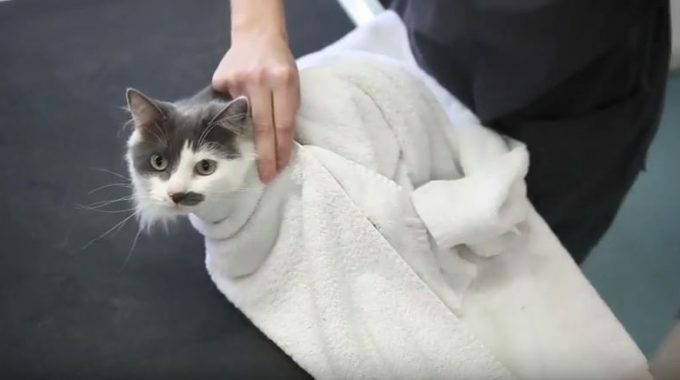 If your cat tries scratching or lashing out, then wrapping a towel around them will help protect yourself from any cuts or scratches. If you’re having trouble following the instructions these few suggestions might make your life easier when you try to give a pill to your cat. Be patient; remember your cat needs the medication to ensure that they are healthy, but they don’t know that! Patience is sometimes the key. Ask a helper; if you’re having trouble getting your pet to take the pill then it might need two people to do the job. One person can hold the cat, whilst the other opens their mouth. Make sure your cat is relaxed; this task is made more than twice as difficult if your cat is stressed out. If your cat gets stressed out then give them a rest and let them calm down before you try again. The more stressed they become, the more of a lasting impact it will have on their confidence.